Last week, I laid out the case for naming and focusing on an open subsurface stack. 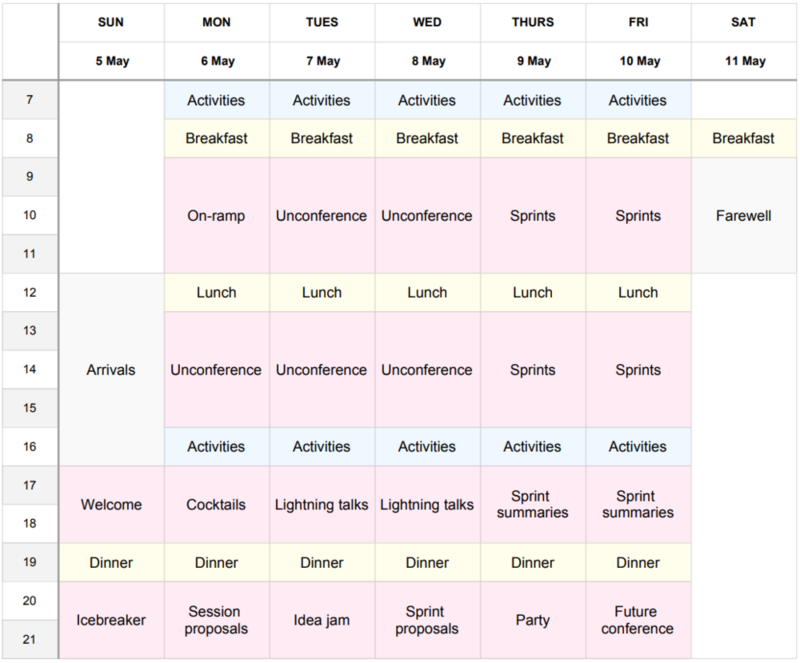 To this end, we’re hosting TRANSFORM, an unconference, in May. At TRANSFORM, we’ll be mapping out the present state of things, imagining the future, and starting to build it together. You’re invited. 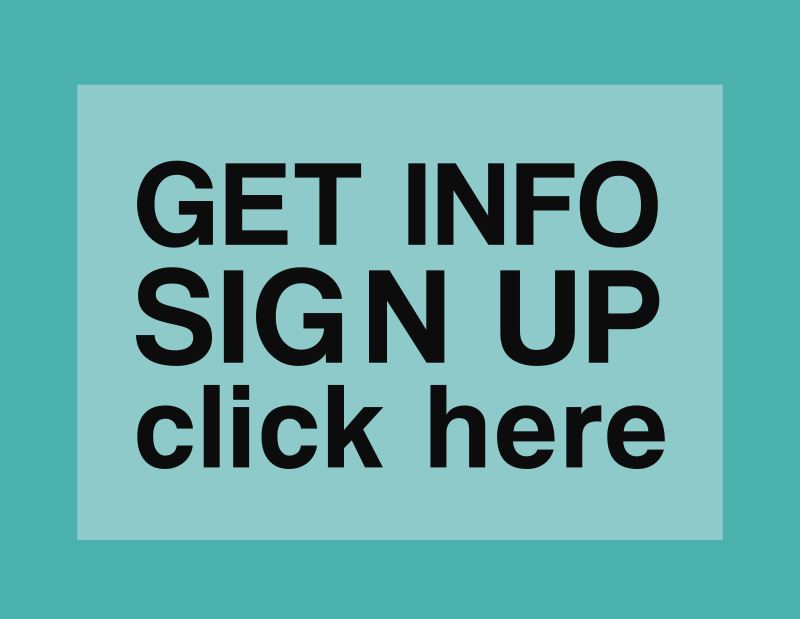 This week, I want to tell you a bit more about what’s happening at the unconference. Start with a short presentation, maybe two, then hold a discussion. Capture the debate. Hold a brainstorming session, generating ideas for new technology. Record the ideas. Host a short sprint around a piece of existing software, checking code into GitHub. Research the available open tools for a particular workflow or file type. Report back. Really, anything is possible. There’s no need to propose topics ahead of time (but please feel free to discuss them in the #transform channel on the Software Underground). We’ll be gathering all the topics and organizing the schedule for Monday, Tuesday and Wednesday on Sunday evening and Monday morning. It’s just-in-time conferencing! Improving the documentation of a project. Writing tutorials or course material for existing tools. Writing tests for an old or new project. Adding functionality to an old project, or even starting a new project. By the end of Friday, we should have a big pile of new stuff to play with, and lots of new threads to follow after the event. Most kind of mining are low-yield games. For example, the world's annual gold production would fit in a 55 m2 room. 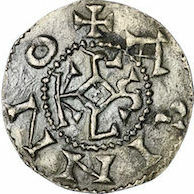 But few mining operations I'm aware of are as low yield as the one that ran in Melle, France, from about 500 till 950 CE, producing silver for the Carolingian empire and Charlemagne's coins. I visited the site on Saturday. The tour made it clear just how hard humans had to work to bring about commerce and industry in the Middle Ages. For a start, of course they had no machines, just picks and shovels. But the Middle Jurassic limestone is silicic and very hard, so to weaken the rock they set fires against the face and thermally shocked the rock to bits. The technique, called fire-setting, was common in the Middle Ages, and was described in detail by Georgius Agricola in his book De Re Metallica (right; aside: the best translation of this book is by Herbert Hoover!). 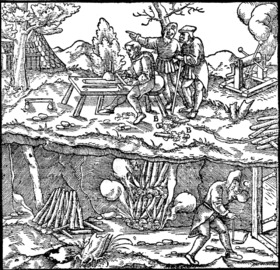 Apart from being stupefyingly dangerous, the method is slow: each fire got the miners about 4 cm further into the earth. Incredibly, they excavated about 20 km of galleries this way, all within a few metres of the surface. The fires were set against the walls and fuelled with wood, mostly beech. Recent experiments have found that one tonne of wood yielded about one tonne of rock. 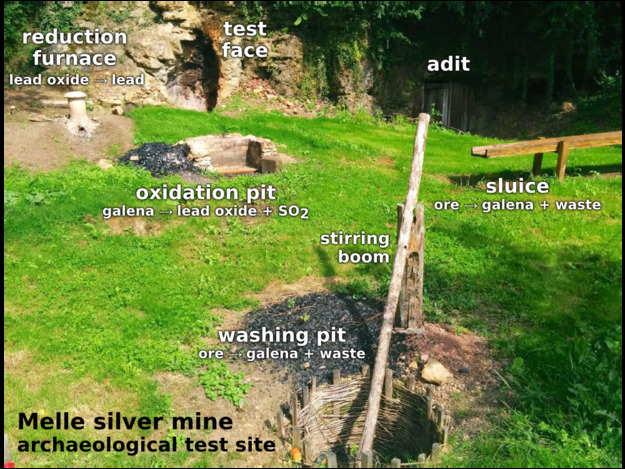 Since a tonne of rock yields 5 kg of galena, and this in turn yields 10 g of silver, we see that producing 1.1 tonnes of silver per year — enough for 640,000 deniers — was quite a feat! There are several limits to such a resource intensive operation: wood, distance from face to works, maintenance, and willing human labour, not to mention the usual geological constraints. It is thought that, in the end, operations ended due to a shortage of wood. The image of the denier coin is licensed CC-BY-SA by Wikipedia user Lequenne Gwendoline.